C1035 code - When the Right Rear Wheel Speed Sensor (WSS) reading is different from the readings received from the other sensors at a vehicle speed above 40 km/h (25 mph). The Antilock Brake System (ABS) Module compares WSS readings from side to side on an axle and front to rear. Right rear WSS loose circuit/connector/terminal damage. Improper right rear tire pressure/mismatched tires. Right rear tone wheel damage. Antilock Brake System (ABS) Module. This DTC must be active for the results of this to be valid. Turn the ignition on, with the scan tool, record and erase DTC. Caution : Make sure braking capability is available before road testing. Road test the vehicle over 40 km/h (25 mph). Vehicle must be driven above 40 km/h (25 mph) for set conditions to be met. With the scan tool, read DTC. Does the scan tool display C1035 Right Rear Wheel Speed Comparative Performance active ? YES, go to step 3. NO, go to step 2. Turn the ignition on, with the scan tool, monitor and graph all the WSS speed and compare graph while an assistant drives the vehicle. If graph shows periodic dropouts pay close attention to the tone wheel. Slowly accelerate as straight as possible from a stop to 40 km/h (25 mph). Is the right rear WSS speed showing 0 km/h (0 mph) or not matching other wheels or showing erratic behavior ? NO, the condition that caused the symptom is currently not present. Inspect the related wiring for a possible intermittent condition. Lock for any chafed, pierced, pinched, or partially broken wires. Perform the ABS Intermittent condition. Turn the ignition off, check and adjust the right rear tire pressure. Check and adjust all other tire pressures, inspect for mismatched tires on vehicle. Is the Right Rear improperly inflated or mismatched tires on vehicle ? Inspect the axle shaft fastener for looseness, and not properly fastened. Tighten fastener to properly specification as required. Was the Axle Shaft fastener loose ? Check all terminals for broken, bent, pushed out, or corroded terminals. Inspect the Antilock Brake System (ABS) Module harness connector, Right rear WSS, and right rear WSS harness connector. Inspect the Right Rear WSS for looseness, excessive corrosion and not properly fastened. Inspect the Right Rear WSS signal and Right Rear WSS supply circuits between the Right Rear WSS and Antilock Brake System (ABS) Module. Is the right rear WSS loose or any of the wiring/connector/terminals damaged ? Remove the Right Rear Wheel speed sensor, inspect the Right Rear wheel speed sensor face for damage. Is the Right Rear Wheel speed sensor damage ? YES, replace sensor and hub assembly. Inspect the Right Rear tone wheel for damage, missing teeth, cracks., corrosion or looseness. The tone wheel teeth sould be perfectly square, not bent, or nicked. Is the Right Rear tone wheel damage ? Replace the Right Rear wheel speed sensor, road test the vehicle over 40 km/h (25 mph). Vehicle must be driven above 40 km/h (25 mph) for set conditions to be met. 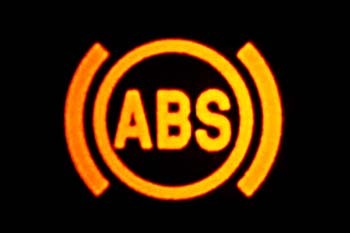 With the scan tool, read ABS DTC. Did DTC C1035 Right Rear Wheel Speed Comparative Performance reset ? YES, replace the Antilock Brake System (ABS) Module. Perform the ABS Verification Test. NO, test complete for DTC C1035 Right Rear Wheel Speed Comparative Performance. 0 Response to "C1035 Right Rear Wheel Speed Comparative Performance"